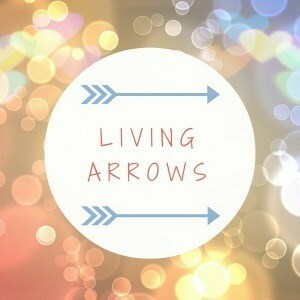 Joining up with the Living Arrows linky for the second week. I love this photo of Isla. Admittedly, she looks a bit scared/shocked, but she’s actually screaching with delight! She’s so proud of herself when she stands up. Even more so when she stands up on her own (with the assistance of another object to hold on to) She is so stable doing so now, but hasn’t yet mastered walking on her own. 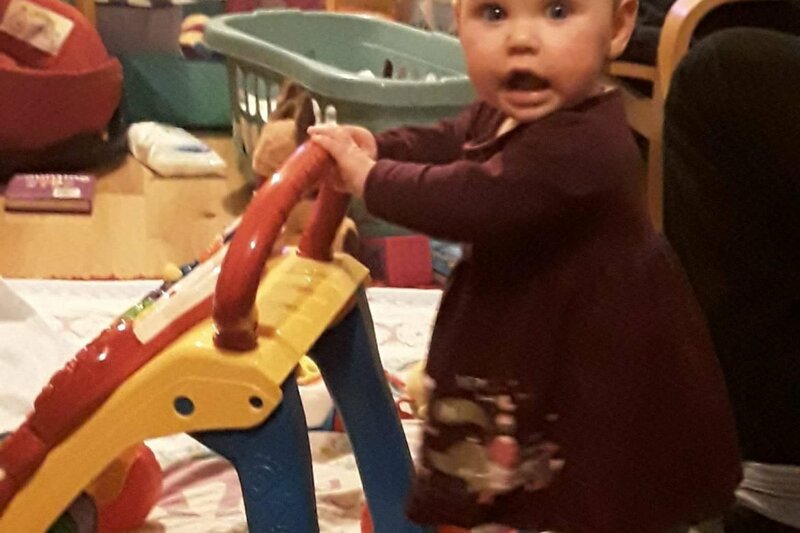 I’m secretly pleased about that, as I think that would be a step too far for me (excuse the pun), as in my mind she would no longer be a baby anymore, but a toddler. I’m just not ready for that yet! Chris asked me what the Living Arrows picture was all about when I posted last week, so thought I might explain about it this week to all my readers who aren’t bloggers/don’t know about linkies, or this one in particular. The name Living Arrows is from a poem by Kahlil Gibran. “You are the bows from which your children as living arrows are sent forth”. Each Monday, the idea is to share a photo of your little one from the week. It is then linked up to Donna’s linky post and then the plan is that we comment on other blogs that have also linked up. It’s a way of finding new blogs, building relationships with other bloggers, and helping them out with increasing exposure to their blogs. Lovely photo. When they’re proud it is so lovely isn’t it!! What a clever girl. It’s wonderful when they start reaching their milestones isn’t it! I always feeling a mixture of happiness and sadness. I don’t want my baby to grow up! 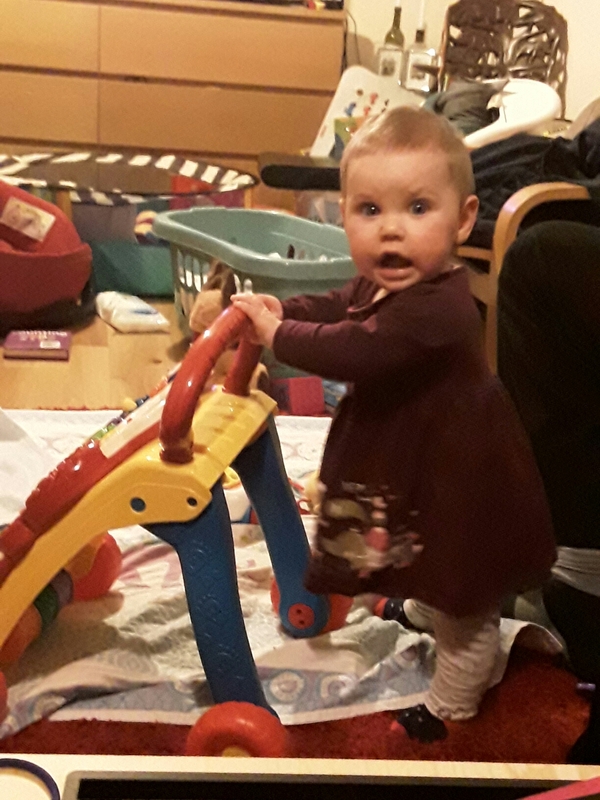 Such a cute photo, my little one has just mastered walking with his walker – it’s so funny to watch their delight isn’t it? !